These children's bermuda shorts in raw denim have five practical pockets. 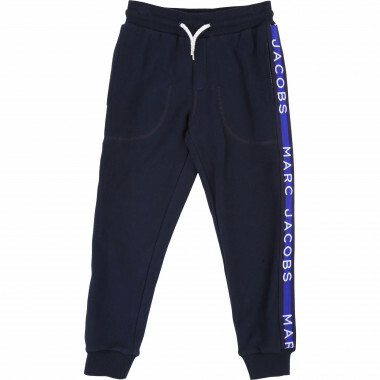 Designed by Little Marc Jacobs, they feature contrasting overstitching. We love the turn-ups on the hems and the keyring attached to the belt loop. The waist is adjustable in sizes up to 10 years. These children\'s bermuda shorts in raw denim have five practical pockets. 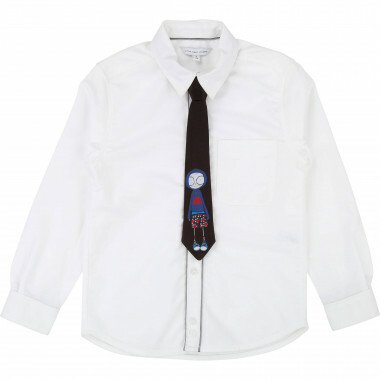 Designed by Little Marc Jacobs, they feature contrasting overstitching. We love the turn-ups on the hems and the keyring attached to the belt loop. The waist is adjustable in sizes up to 10 years.